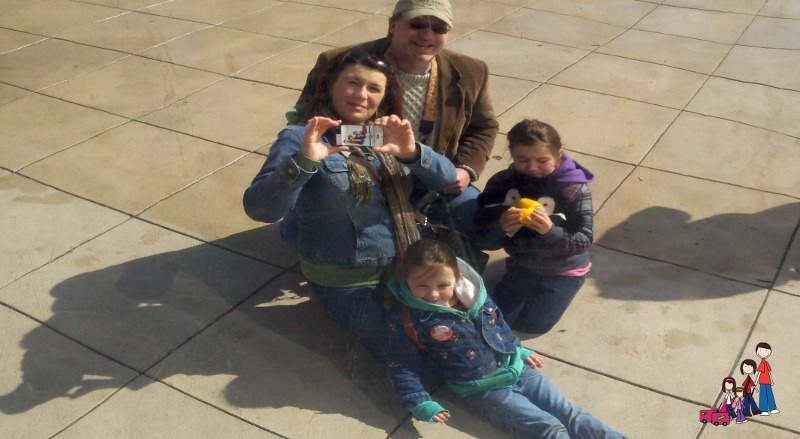 A Chicago family vacation doesn’t have to break the bank. If you’re planning a stop at a more expensive destination- like the Field Museum or Shedd Aquarium- balance it out with fun, free activities. Save up to 51% on Chicago’s 5 best attractions with CityPASS – Shop Now! Millennium Park is most well known for the Cloud Gate Sculpture- aka “the bean”. And I’ll freely admit that it what drew my family. Though we made an effort to arrive early and- hopefully- beat the crowds it didn’t work out quite that way. Thankfully “the bean” is absolutely massive and there is more than enough space to grab your own photo opp if you’re patient. 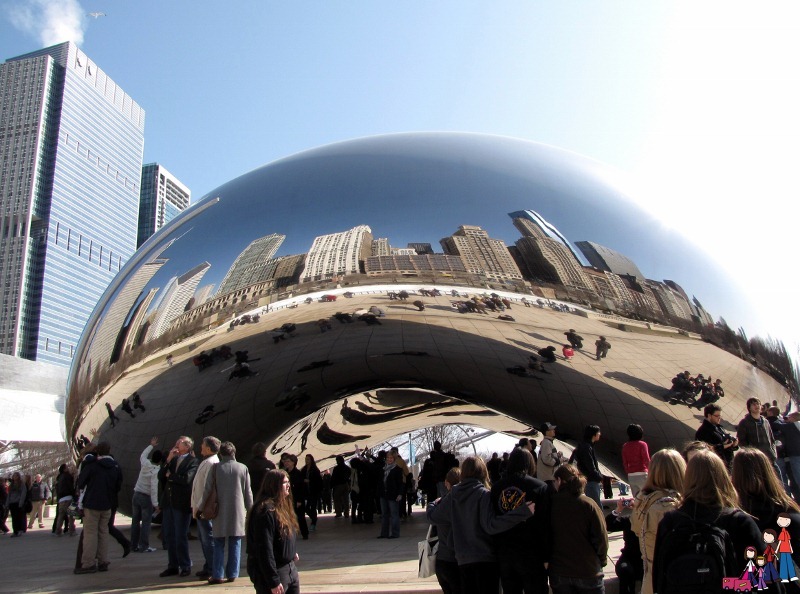 You can explore the Cloud Gate sculpture from all sides- including underneath! And be sure to step back and see the Chicago skyline so clearly reflected. It’s really incredible. Though the Cloud Gate sculpture may be what draws so many to Millennium Park, there is much more to see. The Crown Fountain is made of two 50-foot block towers set on either side of a reflecting pool. During the summer you can cool your feet in the water- but watch out for the towers- they spit! Almost as distinctive and eye catching as “the bean” is the Jay Pritzker Pavilion. Many events, hosted by the city, are held here. Whether you use a chair or sit on the Great Lawn, there is no charge for city hosted events. Bring a blanket and a picnic basket for an enjoyable, affordable evening. Directly behind the Great Lawn is the Lurie Garden. Though it was bare during our visit we could see the promise of the beauty to come; small purple flowers were already peeking out of the dirt. To the east, the BP Bridge is worth your time. Stroll across the bridge or just take in it’s sinewy lines as it crosses to Daley Bicentennial Plaza. Millennium Park is acres of galleries, promenades and green space that invite you to explore and relax. 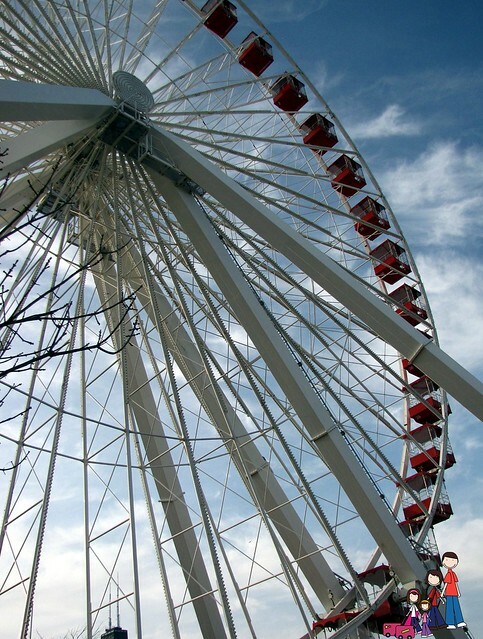 While Navy Pier is filled with souvenir shops, restaurants, boat tours and amusements there is also much you can do that is free- or costs very little. My eldest was fascinated with the viewing telescopes. For 25¢ you’ll get about 5 minutes with of time- who knows what you’ll see in Lake Michigan? 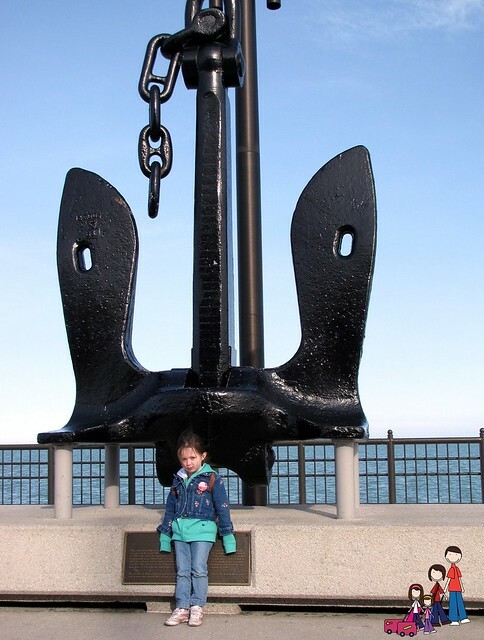 Or stroll to the end of the pier and see just how big a ships anchor really is. It’s a great photo opp. 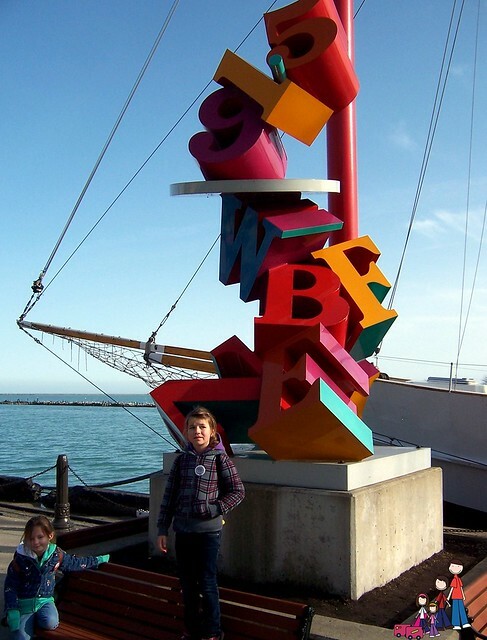 Another really fun photo opp is the alphabet sculpture. And no visit to Navy Pier is complete without one turn on the Ferris Wheel. A single ride is $6. They do take a souvenir photo before you board, but you can easily skip the booth as you leave if you’re not interested. Be sure to step inside Festival Hall or one of the most unique- and surprising- free museums you’ll ever find. The Smith Museum of Stained Glass Windows adorns the corridors. Thirteen of the windows were created by Louis Comfort Tiffany; others come from local buildings. The history of the windows is given, so far as it is known. My girls were fascinated by these works of art which led to discussions of why they were made, how they were created and where they had been before coming to the museum. This was the best “find” of our trip. You’ve got to eat anyway, so why not make it an experience? 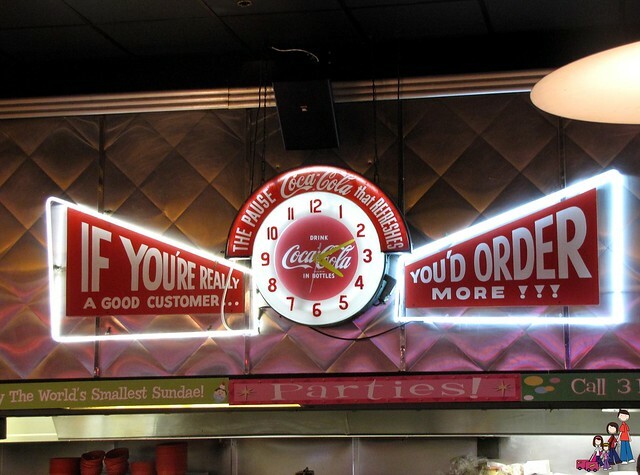 At Ed Debevic’s you’ll get good food, served with attitude. This is totally touristy- as well as very popular with groups. If you want to miss the crowds go for a late lunch or early dinner. But, to catch the best fun, you’ll want to visit when it’s busy. You’ll catch the most attitude from your servers- and maybe get to see them do a little dance on the counter! Even the clock has attitude! Portion sizes are large, the food is good and the shakes are thick. If you plan to save room for one of their amazing desserts share a meal- if your server doesn’t bully you into buying your own. Our server, Vega$, held the attitude to low with us (probably due to the girls’ ages), but really dished it out to the family with teens seated next to us. It’s all part of the fun. These are just a few fun and affordable ideas of family fun in Chicago. What are your favorite Chicago activities? Share them in the comments! Looking for an easy, affordable way to get to Chicago? If you’re in the Midwest I recommend MegaBus! Though it’s not a budget hotel, the Omni Chicago is great for families! Every room is a suite and the central location makes it easy to reach many things you’ll want to do! Yay, looks like you all had fun in my city! Great photos, too. We did! 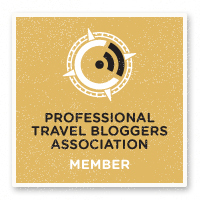 Thanks for your tips! Millennium Park was one of our first projects. Still looks great.